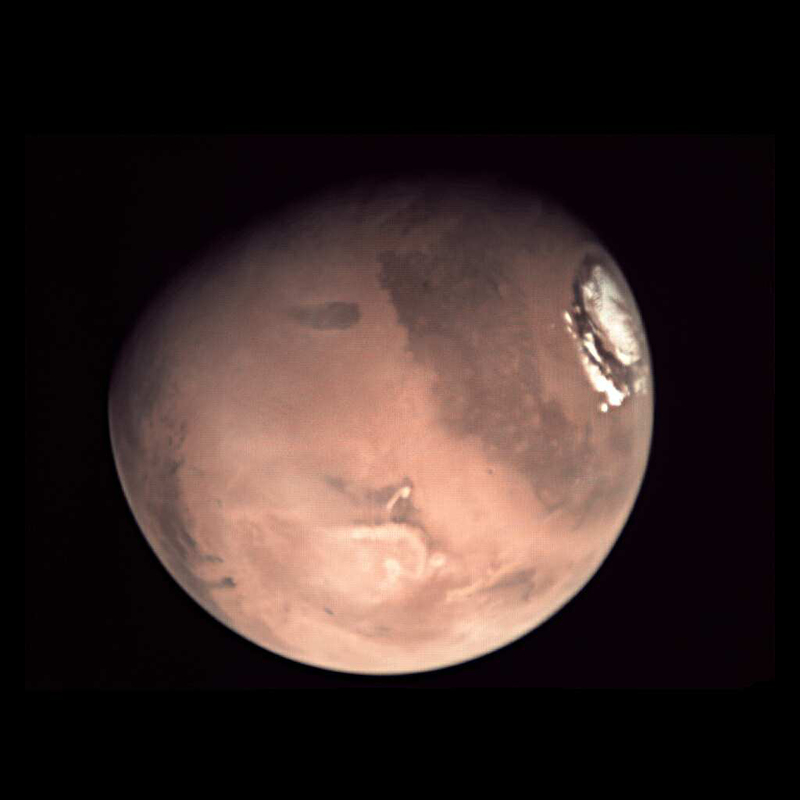 Mars Express, ESA's deep-space probe orbiting the Red Planet, carries a Visual Monitoring Camera that originally provided simple, low-resolution photos of the separation of the Beagle lander. It was then switched off, its prime assignment fulfilled. In 2007, it was recommissioned as the 'Mars Webcam' and has since then provided a wealth of Mars images, including whole-planet views and images of the Mars crescent and limb not otherwise obtainable. Imaging slots are scheduled on a time-available basis so as not to interfere with the probe's scientific instruments, and image sets are delivered only after science data have been downloaded. The camera was off for several months during the recent eclipse season, when Mars Express passes through the planet's shadow during part of each orbit. This reduces the overall power available on board the spacecraft, meaning the camera can't be used. However, it returned to action this week, delivering a set of 10 images on Tuesday, 1 March 2016, which were acquired around 18:00 UTC the previous evening. The image above is a 'stack' created by amateur photographer Dylan O'Donnell, in Australia. He used nine of the 10 to build a composite that removes some of the noise, blemishes and artefacts inherent to the native images. In 2015, ESA's international #VMCSchools campaign invited students and youth groups to submit observation proposals, identifying the martian feature they wished to image in a scientific or artistic project. Proposals were accepted from Europe, the US, Argentina and Australia.